Extreme weather events contributed to losses of about £161 million for Scotland’s farmers through 2017-18. 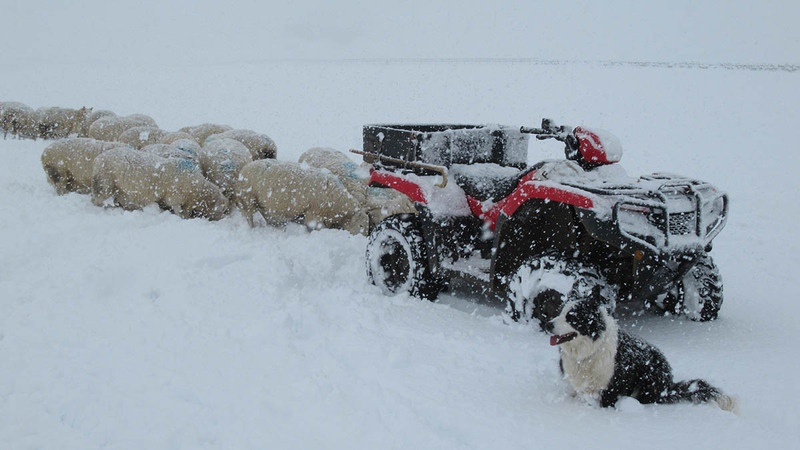 A new report by WWF Scotland looking at the economic impact of extreme weather on Scottish agriculture outed the figures on Thursday (April 10), suggesting sheep farmers suffered the biggest blow of about £45m as a result of the Beast from the East. The study urged farmers to get used to the severe and unpredictable weather, which it said was expected to ‘become the norm’. Dr Sheila George, WWF food policy manager, said: “Farmers are increasingly on the frontline of climate change, struggling with ever more unpredictable seasons and extreme weather. The largest impact on beef producers was the increased cost of feed, the report said, with cattle kept inside for longer during the bad weather and low grass growth during the dry summer. It cost the industry £28m. Cereal crops were also hit by a £34m shortfall, with total production, area grown and yields down in 2018 due to the poor weather conditions at key points in the season. At UK level, wholesale prices of some staple vegetables like carrots, lettuce and onions rose by up to 80 per cent. Fife farmer Douglas Christie said he had been working to build resilience in his farming system using conservation agricultural principles so that he was ‘better able to stave off the effects of extreme weather in the future’. The mixed farmer added: “I experienced first-hand lower crop yields of wheat, spring barley and spring beans as a result of the weather extremes last year.